Recorded: The Village, Sunset Sound, Glenwood Place Studios. The steady, streamlined Easy Tiger was a sure sign that Ryan Adams was attempting to straighten up and play the game, but its quickly released EP follow-up, Follow the Lights, takes this self-conscious sobriety to a whole different level, as it finds Adams writing two songs for the ABC drama October Road, then rearranging three of his own songs to fit the same hazy, mellow vibe of his new tunes, adding the previously unreleased "Blue Hotel" and a cover of Alice in Chains' "Down in a Hole" to the mix. This isn't so much a sell-out as yet another one of Adams' savvy genre exercises -- the only difference is, here he's gunning for the Grey's Anatomy adult-alternative crossover market instead of crafting a tribute to the Smiths or Grateful Dead. 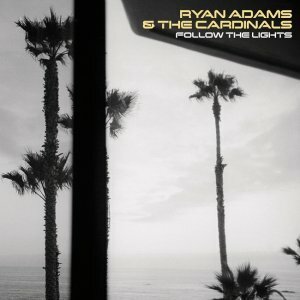 Adams pulls it off, possibly because the abbreviated length of the EP is just enough time for him to dwell in one place without being bored, but also because the lazy, low-key vibe emphasizes the empathy between him and his excellent backing band the Cardinals, who add warmth and a ragged humanity to Adams' tunes. Indeed, the dullest moment here is "If I Am a Stranger," where the Cardinals recede to the background, but the rest of the record places the band on equal footing with Adams, giving this a gently ramshackle appeal not all that dissimilar to either the Dead or the Band. The Cardinals help sell the new songs and a less insistent, strident take on "This Is It," but where they really shine is on that wonderful reinvention of "Down in a Hole," turning AIC's dirge into heart-on-the-sleeve country-rock that is arguably Adams' best single recording in recent memory.